Deutsche Bank's decision to axe 7,000 jobs, many of which will be London-based, is more than just another round of cost-cutting of the kind that is being seen at banks everywhere. It is a deeply symbolic move that highlights the near-capitulation of non-American players in the field of investment banking. Deutsche's new chief executive, Christian Sewing, has made no secret of his desire to refocus the bank towards its traditional activities of lending to companies - especially in Germany - and individuals.And today's announcement marks an intensification of a retreat from global investment banking - a business activity Deutsche has spent nearly three decades building up.Deutsche first moved into investment banking meaningfully when, in 1989, it bought the venerable old British merchant bank Morgan Grenfell for €950m. The architect of the deal, Deutsche's chairman, Alfred Herrhausen, had a vision for Deutsche Bank very much in line with his vision for the country. West Germany's big companies were, in those days, interconnected by a series of cross-shareholdings unlike anything in Britain or America at that time.At the centre of it all was Deutsche Bank, famously described at the time as "the switchboard of the West German economy", an entity capable of blocking foreign takeovers of West German businesses and bailing out struggling ones. It was the organisation that funded what remains Europe's mightiest exporting economy.But the charismatic Dr Herrhausen could see a time when Germany would be reunified and was anxious that, when it happened, the country could boast a global banking giant capable of competing on the world stage alongside the big American and Japanese players.He was also keen that, ahead of the creation of the EU's single market in 1992, Germany would be able to take advantage.Dr Herrhausen never lived to see German unification. Shortly after agreeing the Morgan Grenfell deal, he was murdered by the Red Army Faction, a far-left West German terrorist organisation. More than 10,000 business and political leaders from around the world attended his funeral: this was indeed an age in which great bankers were truly revered.The strategy was continued by his successor, Hilmar Kopper, who decided it needed to be stepped up when in 1994 the bank lost out to Goldman Sachs to lead in the privatisation of Deutsche Telekom - a lucrative piece of business the bank would have expected to be its by right. Deutsche relocated the centre of its investment banking operations from Frankfurt to London and began poaching aggressively from Wall Street rivals.The hiring spree reached its peak when, in 1995, Deutsche hired the American banker Edson Mitchell from Merrill Lynch to run its Global Markets division. Mr Mitchell, who famously once said "if you haven't made $100m by the time you're 40, you're a failure", brought 50 of his colleagues, many of them on guaranteed bonuses.In 1999, under Mr Kopper's successor, Rolf Breuer, Deutsche bought America's eighth-largest bank, Banker's Trust, for €6.1bn. This deal also gave it a significant presence in the City and, in particular, in the UK equities market, where Banker's Trust owned a brokerage, BT Alex Brown, which was built largely on the securities business of the old NatWest Bank.The deal, which at the time made Deutsche the world's biggest bank, highlighted the organisation's doggedness and its determination to crack investment banking. By then, with only limited success, it had already spent billions in trying to join Wall Street players like Goldman, Morgan Stanley and Merrill Lynch in the so-called 'bulge bracket'. It was also a strategy by no means popular at home: a series of scandals at Morgan Grenfell had already tarnished Deutsche's image with the German public.Resentment built in Germany at how Deutsche, where all the big decisions now appeared to be taken in London and New York, had lost its German-ness. 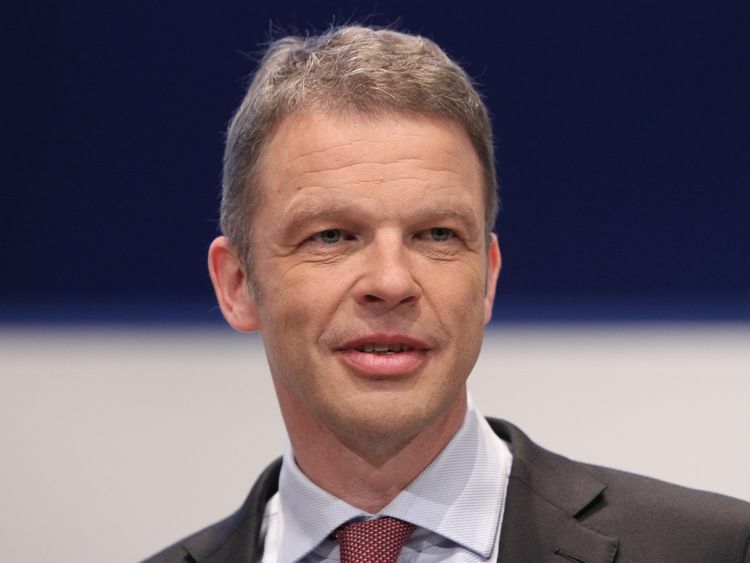 Meetings among bank executives were now conducted in English and not German.Perhaps, if they had known what was to come, Deutsche's executives would have walked away from investment banking there and then. The bank's breakneck expansion of its balance sheet and, in particular, the building of huge derivatives positions caught up with it when the financial crisis struck.Going into the crisis, in 2007, two-thirds of Deutsche's employees worked outside Germany and nearly three quarters of its profits were coming from investment banking and related activities. Those profits melted in the crisis. But as Deutsche was able to avoid bailouts from taxpayers, unlike its US and British rivals, it persevered with investment banking. 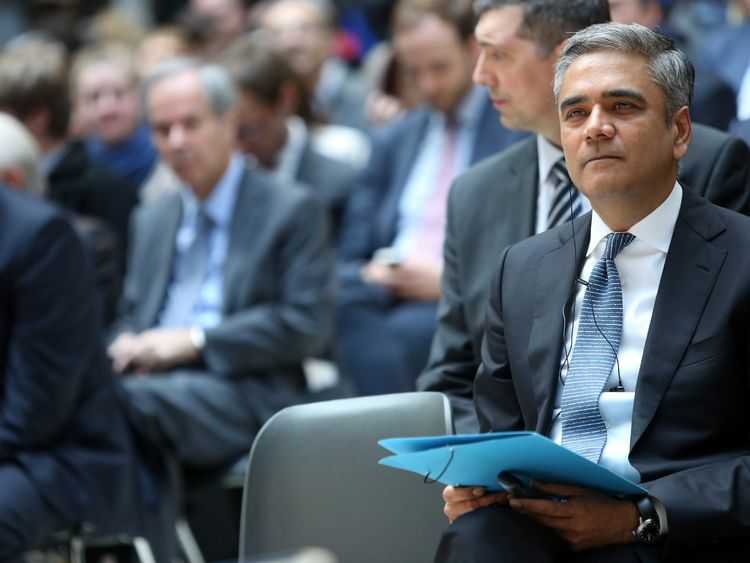 This was highlighted by the appointment in 2011 of Anshu Jain, head of corporate and investment banking, as joint chief executive with Frankfurt-based Jurgen Fitschen.The appointments only intensified the rivalry between London and New York on one side and Frankfurt on the other just as the bank found itself increasingly buffeted by scandals dating back to the pre-crisis period: how it had helped wealthy American clients shelter their wealth from the taxman; how it had helped Russian oligarchs get their money out of the country and, of course, Libor-rigging.Regulators were particularly keen on punishing the bank for mis-selling US mortgage-backed securities - a product which, ironically, one of Deutsche's own traders, Greg Lippman (on whom a character played by Ryan Gosling in the film The Big Short was based) made a fortune betting against.The co-chief executive experiment ended when, in 2015, British-born John Cryan became chief executive. He quickly found himself having to fight numerous fires started by past misconduct but also made clear he was no fan of the lavish bonuses paid to investment bankers.If Mr Cryan was the firefighter, the next step was to reduce Deutsche's dependence on investment banking and going back to its roots, which is why Mr Sewing has been appointed.After 30 years of patiently building up investment banking, tolerating huge costs in the process, Deutsche's shareholders have had enough.With the Japanese having long given up their ambitions in investment banking along with Swiss bank UBS, another former titan in the sector, Wall Street's big names more or less have the field to themselves. Only Barclays and Credit Suisse look likely to mount any kind of challenge to them in future.The big bucks from advising on and financing huge deals and from trading securities will almost exclusively be made from now on by American institutions.